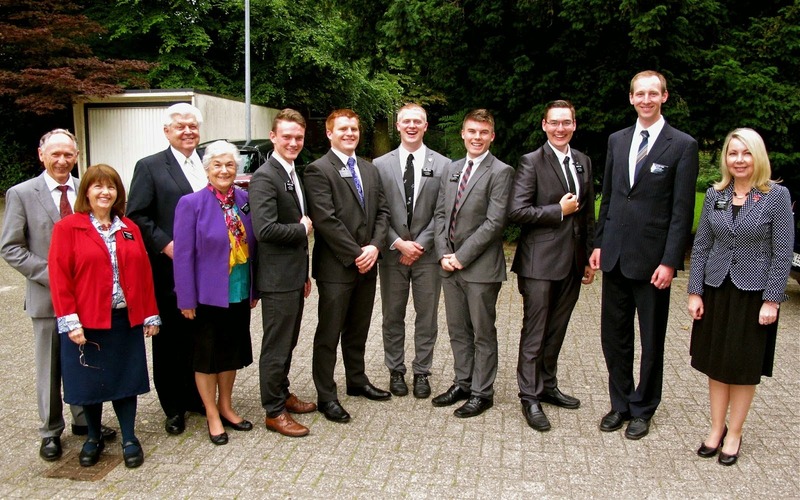 We began June with a bang - a large Zone Conference in Hamburg with Elder Dyches, the 2d Counselor in the Area Seventy for Europe. It was a very inspirational meeting - no surprise. His wife was unable to attend, so he took her place on one item. How could he do that you may ask? Well,, he taught us how to fold a piece of paper into a short sleeved shirt. Then all you need to do is to get your pen or colored pens and give them out as Thank You cards, or for any other such reason. They are unique and make people smile. The other things were on taking responsibility and going forward in faith. I know that is a very short summation of a 4 hour meeting, but I can only recall the theme and the way we told each other we felt on our way back to WHV. These are Elder Billings (L) and Elder Feild (R) on Elder Billings' transfer day. We usually pick them up with their baggage and drop the transferee :-) off at the Bahnhof. Both of them normally take the train to Oldenburg, where one goes on and the one staying in WHV will remain with the Zone Leaders in OL until the new missionary arrives. With all the transfers that go on very 6 weeks and 270 missionaries in the mission, one can only wonder how the logistics are all figured out! Glad we are not having to be involved with that other than helping the missionaries get it done:-) This was Elder Billings first assigned area from the MTC in Provo. One of the innovating things Elder Feild got going is the Jade Buccaneers - a American Style Football Team in WHV for youth. The Elders came across the Head Coach who is familiar with missionaries who had helped him and his team before. The coach was very receptive and welcomed the missionaries to work with the team. Part of it is what he wanted was for them to teach his team the things the missionaries stood for, their rules, their attitudes, their concepts of uprightness and commitment. What fun they have had working with the team. 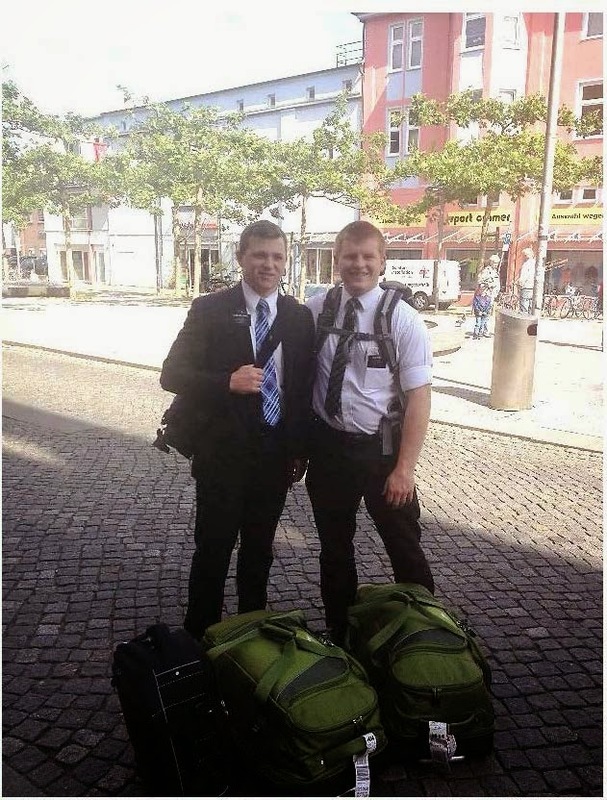 Elder Feild was a Zone Leader who was sent to WHV to help us build here while he awaited his final transfer in August back to USA and Pioa, UT. I anticipate we will write more as this develops. Elder Young came to us in WHV as the new District Leaders (DL) for this missionary district. That is a "move" of the DL from Leer to WHV. 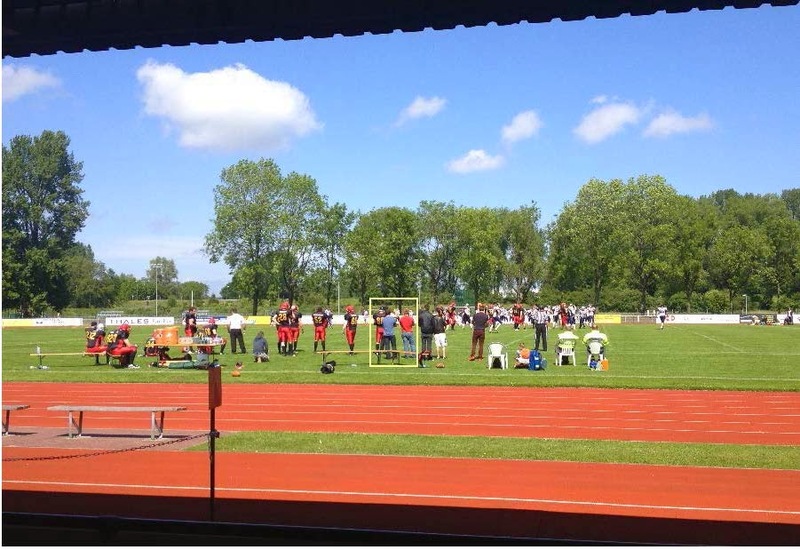 Nevertheless, he is bright and energetic - AND - came to Berlin on the same day we did! He will be in good hands with Elder Feild and "Momma" Sister Porter with her Banana Bread and her watching over these young men so well. 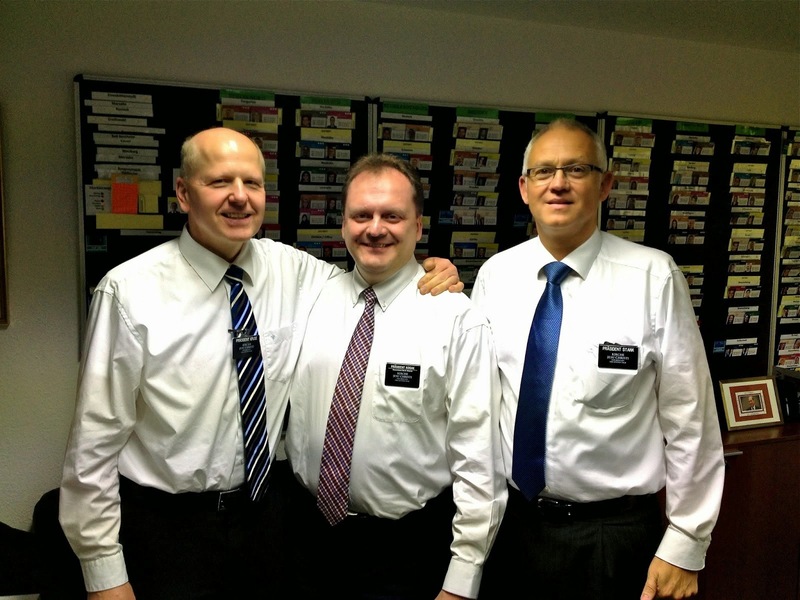 This is a pic of our first DL meeting with Elder Young. This is also his first DL meeting as a DL :-) We all were gentle. 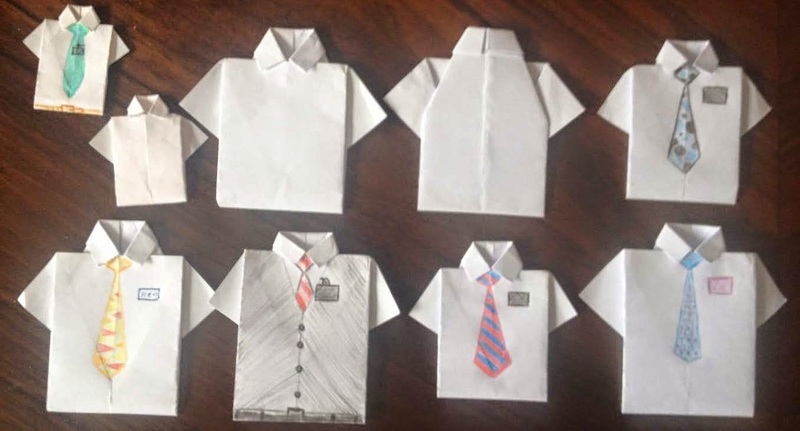 Beginning with Sister Porter, next is Elder Brown (AZ), Elder Kincaid (CA) who leaves for home in July; Elder Feild (UT) who leaves for home in August, Elder Rich (?) 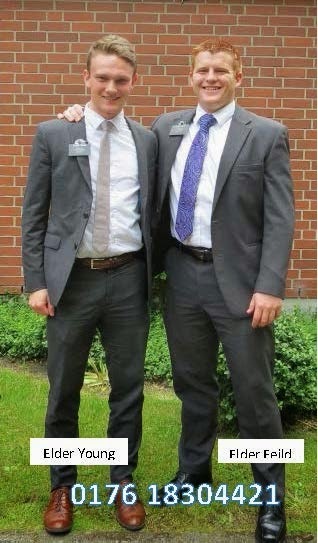 who replaced Elder Kossin who was transferred as our "old" DL; Elder Flack who came out with Elder Billings (TX) and who is doing marvelously well with his German, his dynamic attitude; Sister & Elder Benson (CA) who replaced E/S Paul as a CES couple in OL Mission District. Above is a picture of Alisha Ramic at the keyboard. 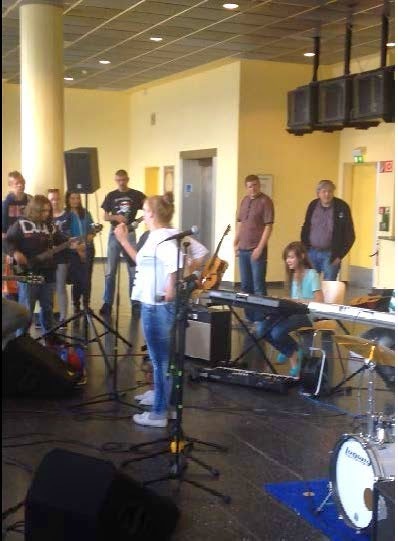 This is a school "band" who does concerts in the foyer of the local Kino (move theater) each year. Alisha is now 12 and her mother is an inactive member. However, Alisha's father is a Muslim who may believe in "honor killings" if she becomes a "Christian". We are happy to visit and work with the family, but we won't "push" baptism, but wait for her to achieve "adulthood" and make her own choices at that time. Her mother remarried a member of the church, but he too is inactive. They are a nice family and we enjoy meeting with them. To the right is Gitti talking with Alisha's mother (Yvonne) and Yvonne's mother (back to the camera) after the concert. 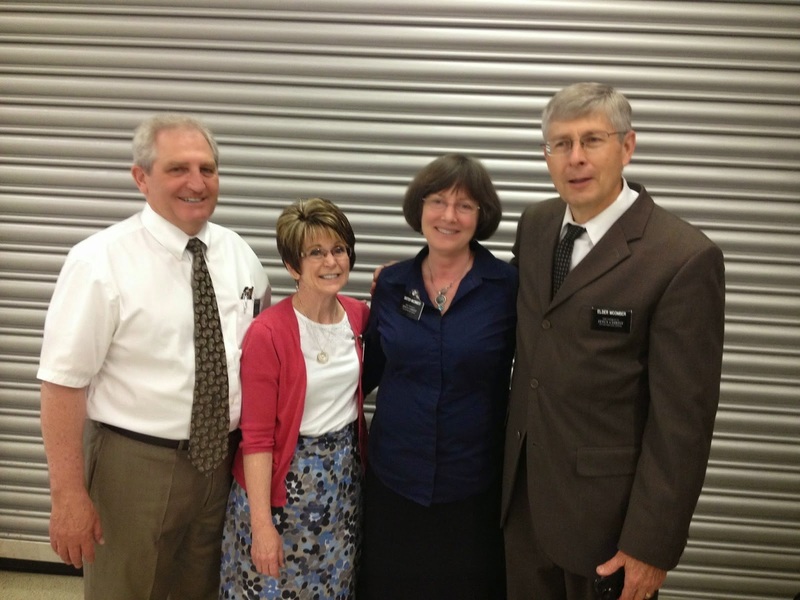 Every so often we have District Interviews where President and Sister Kosak make the rounds to each District and conduct interviews with the missionaries - young and older (young at heart). Out District at Oldenburg building with Sr Kosak. Pres. 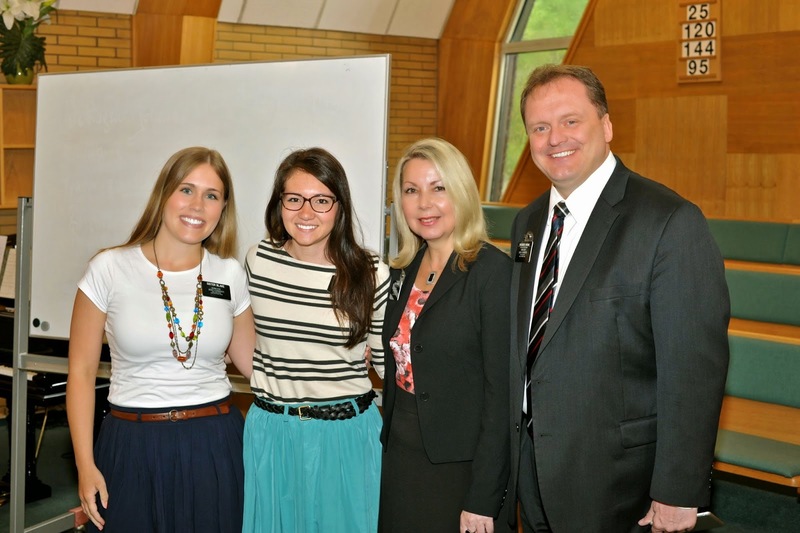 Kosak to the pic and posted it on the mission Blog. Elder/Sister Bessley (ID) who work in the mission home and leave for home the end of August. We will miss them. S/E Macomber who just arrived in June on a mission to find records and record them. These are then sent via internet to Family Search in SLC. Neither of them speak a word of German and that seems challenging. President & Sister Kosak with the Assistants to the President at the lookout where we were last December in Dresden. 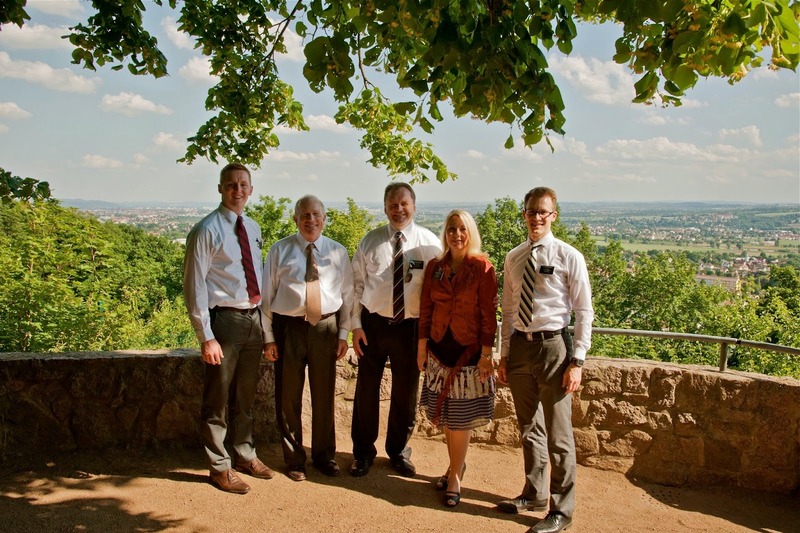 This is the place where "Elder" Monson spoke a prayer re_dedicating this area of Germany to missionary work. This was done 27 April 1975. On the far left is Sister Blake. Her family origin is from St. George. I talked to her about Wanda, Betty, and Duane. She said that sounded right, but she doesn't live in Dixie and would have to do some family searching of her own:-) Reminds me of Sister Pickett from St George who's grandfather owned Pickett Lumber and I played Pony League baseball on the Pickett team. I was 3rd base and Bruce Hafen was the pitcher. Stay tuned - we have to go to an appointment in a town near here - Jever ( yeah-ver) to visit some members.